We’ve told you about the Surf Legends Lounge, the art markets and the killer live music. We’ve filled you in on the artists, shapers, surfers and creatives. We’ve even mentioned special guests, new events, shred sessions and after parties with. We’ve got films, food, and legendary interviews to keep you frothing from sun-up to sun-down for four consecutive days of sun, salt water and all things surf culture! Now, there’s only one thing left to announce… The 2018 Byron Bay Surf Festival is OFFICIALLY here!! Our highly anticipated kickoff event, hosted by Surfing World’s Vaughan Blakey and featuring special guests Stephanie Gilmore, Andrew Kidman, Bob McTavish and more. Come out and meet our special guest surfers, shapers and filmmakers as we dig deep in to surfing, shaping design and performance through the eras. Get your tickets here! Cosmic babe and lady wave sliding pioneer, Kassia Meador, will be performing a very special sound bath experience on Saturday night. Don’t miss out on this truly unique experience! Get tickets HERE! This awe-inspiring film by Rory Kennedy, tracks the remarkable life and legendary career of big wave surfer and overall master waterman, Laird Hamilton. Limited tickets are available for this highly anticipated event, so make sure to get yours HERE. The legends at MINI Australia and Sticky Bumps have created a limited run of wax in celebration of the 2018 BBSF! Come meet the awesome Sticky Bumps ambassadors at The Surf Art Markets happening this Saturday to learn all about the secret ingredients and tricks to the perfect wax job. Use #BBSFMoments and tag @miniaustralia during any festival photos this weekend and you might score a free tub of the specialty wax! 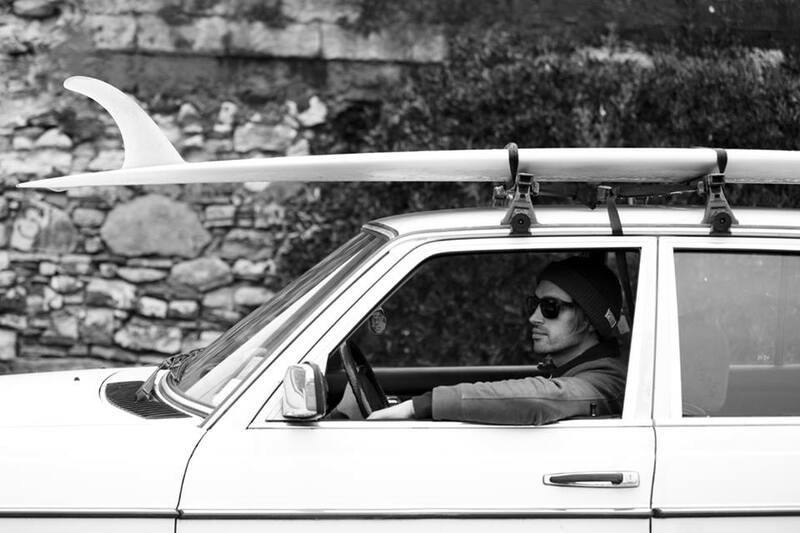 Deus Ex Machina will be showcasing their latest project, THE RIDE-IN CINEMA, at this year's Surf & Art Markets. The beloved 20ft Deus Shaping Container, which was a hit at last year’s festival, has been given some love and transformed into an intimate 12 person cinema. The Ride-In Cinema will be screening ‘Denny Blackboy’ throughout the day. Directed by Dustin Humphrey, Denny Blackboy is an award-winning surf film based on the life of Deni Firdaus, a Deus longboard ambassador living in Indonesia. Drop by to put your feet up and watch a quick flick. Be sure to drop by the Byron Desmo Ducati tipi to check out the latest Scramblers, the perfect economical adventure beach vehicle. 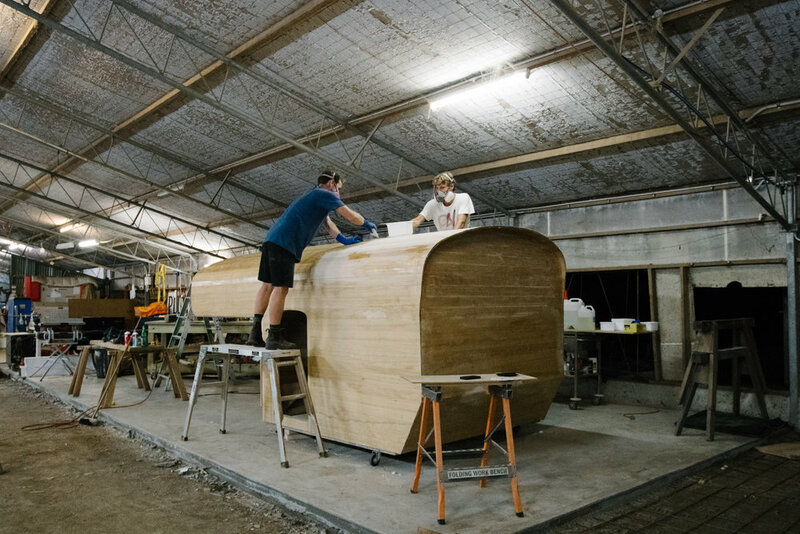 Jay Nelson has been busy in the back hills building a new adventure vehicle for an upcoming Vissla surf trip. Be sure to drop down to Saturday's Surf Art Markets to check it out near the Shaka Yurt. Jay will be holding a workshop at 2pm, come get inspired. The team at We Are Feel Good Inc will be stocking up their carts with sunscreen to keep us all lookin fresh and young! Stop by and get yourself lathered up. Yes the all time legend DJ RAD DAN will be spining beats from the afternoon to late evening at the Beach Hotel during the festival. Featuring modern classic music digger Down Under Dan will be filling the speakers with his personal collection of RARE!! Australian, 70’s 80’s and a little sniff of 90’s, indie, rock, folk and plenty of re surfaced material that has not been played in years. there will be no house in his house. But once it hits dark you will be blessed with true 1970 funk & alternate disco memories from the deepest corners of around the world artists. Stone & Wood will be tapping a nightly keg Fri, Sat, Sun for happy hour starting at 5pm at The Beach Hotel! As if this years festi-happenings weren’t enough of a treat already, a few of our generous sponsors have rallied up some epic goodie-giveaways to keep us frothing straight outta the gate! The fine folks from Gold Coast MINI have teamed up with Channel Islands Surfboards to send one lucky grom (of any age) home with a brand new board! This new Al Merrick x MINI surfboard combines an EPS core with PU rails - a progressive foam combo allowing for ultimate speed generation through the center, whilst absorbing any unwanted vibration from high speeds and surface chop. The specially designed, lower buoyancy properties of this innovative shred-sled also allow you to sink the rail a bit deeper, providing better hold and sharper response to your turns. Find out how to get your hands on this brand new wave craft by dropping in to the MINI stall this Saturday! Make sure to keep an eye out for our fine friends from ELECTRIC, as they’ll be dishing out some brand new watches and shades to some of you lucky patrons throughout the weekend. And let’s not forget about the grommies… ELECTRIC will also be putting on a fun filled, froth-worthy scavenger hunt at the Saturday Surf Art Markets. So load up the kiddies as we set their sights on the ultimate hunt for swag. Due to lack of parking at Wattegos Beach, our friends at Magic Bus will be shuttling festi-goers to and from the Free Style & Stoke sessions on Sunday. Cheers to Byron Sign Works for creating our epic prints! We couldn’t have gotten the word out there with out ya! The 2018 BBSF team would like to give a huge thank you to our local Byron Bay sponsors & suppliers. This year just wouldn’t have come together so nicely without you legends! And… A VERY special thanks to our exclusive BBSF partners this year… These businesses bring ideas to life and we are proud to include them as part of the BBSF family that makes our annual gathering of the tribes fun, engaging, educational, inspiring, and most importantly they help make it all possible!! Stone & Wood, Beach Hotel, MINI, RVCA, McTAVISH, Vissla, Allpress, Hydro Flask, ELECTRIC, DEUS, Fallen Broken Street, Onboard Store, Sticky Bumps, Channel Islands, Catch Surf, Coastalwatch, Surfing World Magazine, Atmosea, Business and Pleasure, Byron Bay General Store, Brookie’s Gin, Bucha, Wholi Water, We Are Feel Good Inc, Byron Holiday Park, Beach houses of Byron Bay, Elements of Byron, Sustainable Valley, 28 Degrees, & our not-for-profit local charity Wings. Luckily we have the best entertainment line up, because the surf is looking like classic summer conditions after an awesome run of swell from the recent TC Gita. The weekend outlook looks like a combination of small E-SE swell with variable winds tending NE each afternoon. So the FreeRadicals event on Friday will be perfect for airs, Catch Surf Demos at Saturday's Surf Art Markets will have fun grom waves at Clarkes, and Wategos will host the Freestyle and Stoke sessions in fun small waves on Sunday. Pack your fun boards, relaxed attitude and party shirt because it's all about having a good time this weekend! Come check out the free friction master Ari Brown during RVCA's Finless Session on Sunday at Wategos. We can't wait to see you all this weekend! YEEWW!